On a summer afternoon at The Ailey School's studios, a group of students go through a sequence of Horton exercises, radiating concentration and strength as they tilt to one side, arms outstretched and leg parallel to the ground. Later, in a studio down the hall, a theater dance class rehearses a lively medley of Broadway show tunes. With giant smiles and bouncy energy, students run through steps to "The Nicest Kids in Town" from Hairspray. "You gotta really scream!" teacher Judine Somerville calls out as they mime their excitement. "This is live theater!" They segue into the audition number from A Chorus Line, "I Hope I Get It," their expressions becoming purposeful and slightly nervous. "Center stage is wherever I am," Somerville tells them when the music stops, making them repeat the words back to her. "Take that wherever you go." 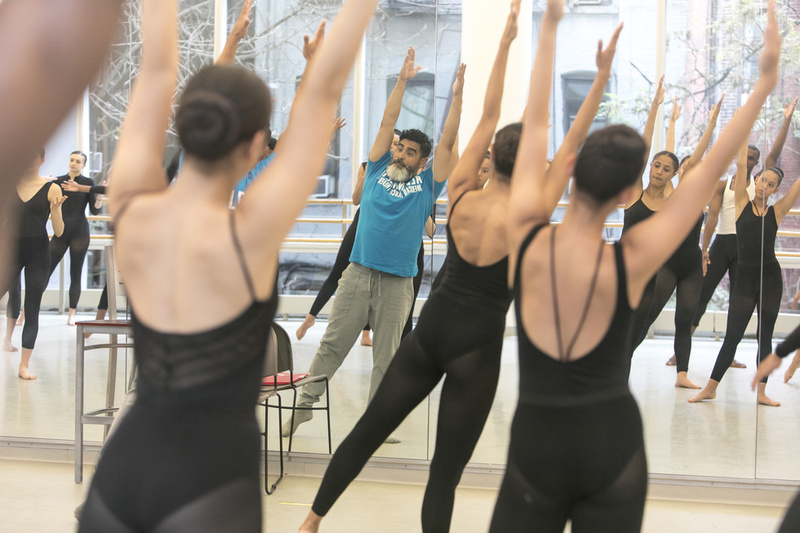 This bustling, ever-moving environment is The Ailey School's summer intensive, which for six weeks each year invites dancers to train in the Ailey curriculum. Students take up to 15 classes a week: ballet, Horton, Graham and an elective, which might be hip hop, theater dance, West African or contemporary. 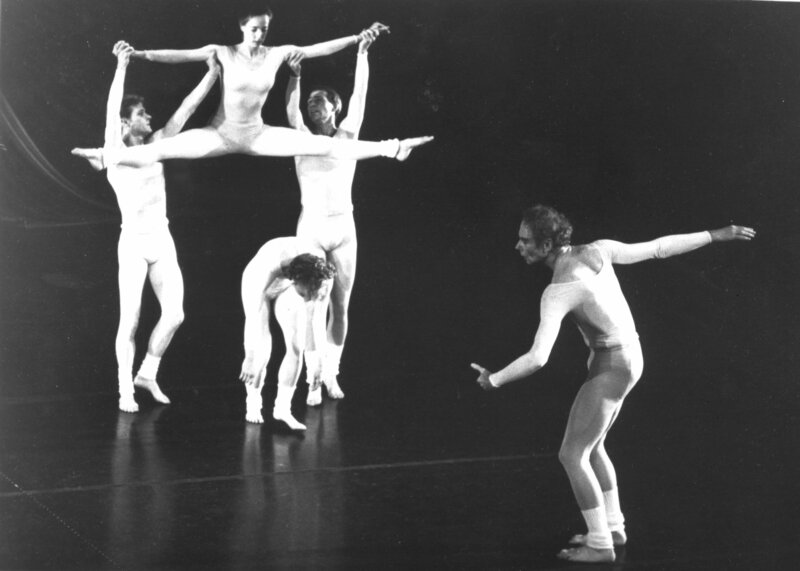 This summer, the school plans to offer five levels of ballet and four of Horton and Graham, each with a specific syllabus. Students can also choose to audition for repertory workshops with professional choreographers, which in 2018 included Amy Hall, Lion King dancer Ray Mercer and Ailey/Fordham BFA grad Levi Marsman. These dancers get a chance to put their training in context in an original work. "It's about the choreographer going in there and providing another level of teaching," co-director Tracy Inman says. "The dancer understands in a different way: 'Oh, I'm using my Horton technique now.' That's what their job is going to be when they get out in the real world." Ray Mercer's repertory workshop. Photo by Rachel Papo. In a late-afternoon rehearsal of Ray Mercer's repertory workshop, six dancers work on a tricky partnering sequence. As Mercer calls out counts, the women practice a running leap into the arms of their partners. When the men catch them, they tilt their heads back until they're hanging completely upside down. All of this happens in about three seconds. "The movement is very fast; it's also very physical," Mercer says. "I always tell them at the very beginning of the process, I don't want them to move like students. I want them to look like a company of dancers that have been dancing together for a very long time." Guillermo Asca's Hoston class. Photo by Rachel Papo. "Class is a performance," Guillermo Asca tells his level 2 Horton students. He reminds them that they never know who could be watching them. "You don't want to be photographed like this," he says, making a silly face. The room fills with laughter. Asca, who's been with Ailey for 30 years (first as a student, and then as a company member), is mindful of how short the summer is, and how much technique he can realistically expect to impart. In addition to introducing some of the fortifications and preludes of the Horton style—tabletop flat-backs, hips swiveling in a figure-8 motion, energetic leg swings—"I want to plant the seeds of how to approach dance," he says. Ultimately, he wants students to make their movement interesting and dynamic, to remember that they don't have to be onstage to bring that quality to their dancing. "Anybody who sees a dance class will peek into that room, and somebody will capture their eye," Asca says. "That's the person who's dancing. You don't have to wait until you're level 4 or level 5 to start dancing." Ryan Claytor. Photo by Rachel Papo. When Ryan Claytor, 24, was exposed to Horton training in her first summer with Ailey, she quickly fell in love. "Horton is my all-time favorite," she says. "It's angular, it's precise, it's sharp, but it also has a little bit of flow to it." Claytor has participated in the Ailey intensive three times, and attends the school year-round as part of its scholarship program. Seeing Ray Mercer's choreography in previous summers, she knew she wanted to audition for his workshop. "In rehearsals with him, you learn a lot about yourself," she says. "You learn how to pick up on things quickly, how to make them your own." Javontre Booker. Photo by Rachel Papo. Twenty-two-year-old Javontre Booker has attended the Ailey intensive three times, but he calls 2018 his "most mature" summer. "I think the most difficult thing for me right now, considering the fact I'm transitioning into the professional world, is knowing myself and knowing my self-worth," he says. He likes the combination of professionalism and guidance the program offers. As a tall dancer, Booker looks up to role models like Jamar Roberts, from the Ailey company. "Being the size that I am, often I'm told 'You're late' or 'Get all the way through that extension,' " he says. "When I watch him move, I never have those thoughts. I'm always like, 'How did he do that?' "
At the 2018 intensive, Booker accomplished one of his biggest goals—to make it into the Ailey scholarship program. He's now training at the school full-time, getting closer to his dream of joining the main company. He says, "I love the movement, I love the company, I love the mission."